When you look at a person do you know how to switch on your soul’s eyes, eyes that see the unfathomable beauty and vulnerability of life, eyes that see with compassionate mercy, eyes with the vision to know when to let go or to do something hard even if you look like a fool? If I can see through the eyes of soul you can too. As a teen, I noticed joy and love that felt like nothing else. I noticed which activities brought this sensation into focus. Tracking this eventually led me to a Benedictine Monastery in Valleyrmo for a sacred dance workshop, and on to study dance at UCLA. I knew that dance and music heighten our SOUL POWERS. In college, I had an extraordinary encounter with Love and Purpose. The experience was so powerful it took me to seminary to try to understand what had happened to body and soul in the world and why dance and fear of the body were so widespread. 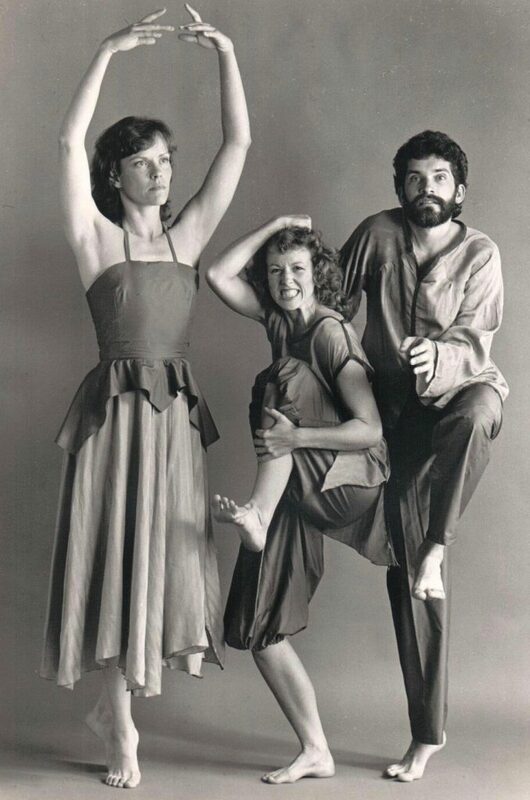 I engaged books, classrooms, and wise teachers, but my greatest learnings came in collaboration with Phil Porter and Judith Rock in Body and Soul Dance Company. 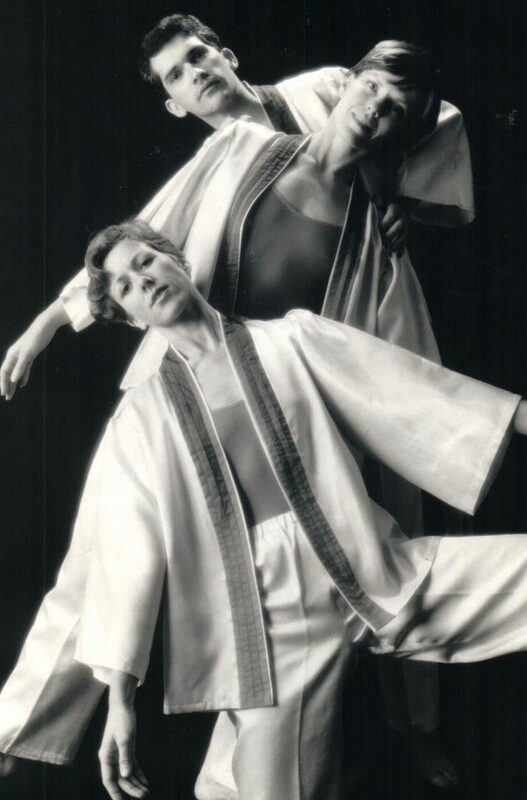 We traveled, choreographed, performed, taught, and researched the intersection of physicality and spirituality. When I was asked to teach at the seminary I began seeing the indescribable beauty in the soulful improvisations of these ministers in training. Many of them were equally surprised by their soulful bodies. I saw the same thing beyond the seminary as Phil and I created the InterPlay practice to foster the artful beauty of being human ANYWHERE. Courage! Are you Finding the Courage to Follow Soul and to Love? Courage is not a feeling. It is what rises when we claim contact with the wholeness of body, mind, heart, and soul. Especially soul! Direct contact with soul is to have gold in reserve. You can feel the support of that reserve. Better yet, when you cultivate soul connection you can draw from it in everything you do. Some of the best ways to build confidence and courage to be ensouled is 1) by inviting emotional, physical contact with soul whether it be as soft as a whisper or an echo from a life-changing encounter 2) in a community of two or more who share ensouled wisdom, 3) with a spiritual companion/director 4) through dance and music that fully engages Soul Power 5) center in a courageously simple theology like “Love Your Neighbor as Yourself,” or “Do Justice, Love Kindness, Walk Humbly” or, “All beings are sacred.” 6) The patience and hope to use a candle instead of an interrogation light. Here in the Hidden Monastery, I am committed to conversation and connection around ensoulment. The Ensoulment Course, the Online Dance Chapel, and being a spiritual companion is all about this. I believe we have to have enough security and comfort in our bodies to sense and relax into soul. I am committed to discovering how our Soul wants to guide us. I believe this is crucial if we are to find the courageous strength to let go of old ways in exchange for more beautiful ways. Change doesn’t have to be soooooo hard. I know from experience as I recover from individual and collective trauma. By regularly engaging the joy and love of soul connection I deepen, without being deterred. And, as one spiritual leader in an Ensouled Group said, “The day isn’t successful if there hasn’t been at least one good belly laugh.” Gold. Courage. Soul!